Our dog has loose tendons in his knees and he was limping a lot on one leg every time whenever he went outside to play or run around. 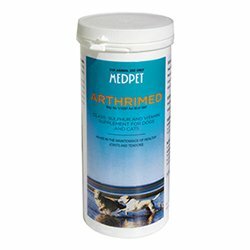 Then I started Arthrimed tablets to give him by mixing in his food. And after few weeks I could really see the difference in how he walks. It is truly amazing to me.